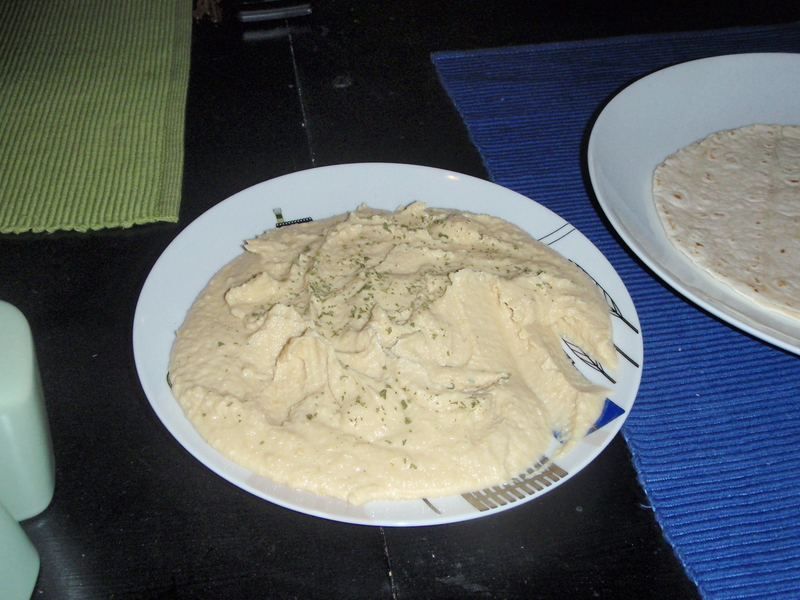 Hummus? 5 minutes? $1? Yes please! This literally takes about 5 minutes. If you think it’s ridiculous that stores sell hummus in tiny $5 tubs, your day is about to get a WHOLE lot better. Basically the only thing you would actually need to buy is the chickpeas. You probably have everything else on hand already! 2 cloves garlic, crushed. If you don’t have one of these, buy one immediately. It will change your life. Optional: Some dried parsley and smoky paprika. Seriously. Five minutes and you’re done. Drain chickpeas (except for reserved liquid). Blend chickpeas, reserved liquid, lemon juice, garlic, olive oil and chili powder in blender or food processor. Pour onto a plate. Sprinkle with dried parsley and smoky paprika (or regular paprika). Eat with pita, warmed-up tortilla or crackers! This stuff is delicious. It’s a great party appetizer, because it’s beautiful and everyone loves hummus! If you want to expand your hummus horizons even farther, check out the green hummus recipe.